The cream cake chain will go under without fresh cash, and its CFO has been arrested. The group’s operating strength implies shareholder Luke Johnson should cough up. That hinges on whether the company’s big cash pile has been stolen, or whether the accounts themselves are rotten. 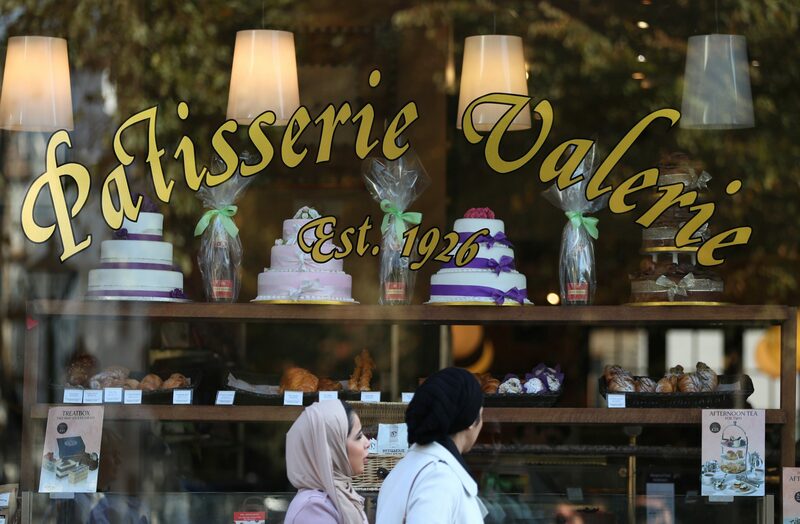 Women walk past a branch of Patisserie Valerie in London, Britain, October 10, 2018. The owner of Britain’s Patisserie Valerie café chain said on Oct. 12 that Chris Marsh, its suspended finance director, had been arrested by police and released on bail. The company warned on Oct. 11 that it was in danger of collapse if it could not urgently raise capital, after discovering a potential accounting fraud. Patisserie Holdings said an investigation had found a “material shortfall” between the reported accounts of the London-listed company and its true financial health. Patisserie Holdings, whose cafés are best known for their range of cakes and employ about 2,500 staff, added that it was working with its advisers to assess its options. The company had said on Oct. 10 that its directors first became aware of “significant, and potentially fraudulent, accounting irregularities” a day earlier. At the same time it disclosed that it had suspended its finance chief, Chris Marsh, halted trading in its shares, and launched an investigation. The company had a market value of 444 million pounds before its stock was suspended. Also on Oct 10, the firm said that HM Revenue & Customs had filed a winding-up order against its main trading subsidiary regarding 1.14 million pounds that Britain’s tax office says it is owed, with a High Court hearing listed for Oct. 31.